1869 - James A. Garfield, then a congressman from Ohio, announced a new kind of history, based on statistics, to his colleagues in the House of Representatives. “The developments of statistics are causing history to be rewritten. From a speech about the Ninth Census that James A. Garfield (Representative from Ohio) delivered in the House of Representatives, December 16, 1869. 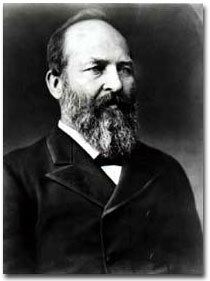 James A. Garfield. Courtesy of the Library of Congress.